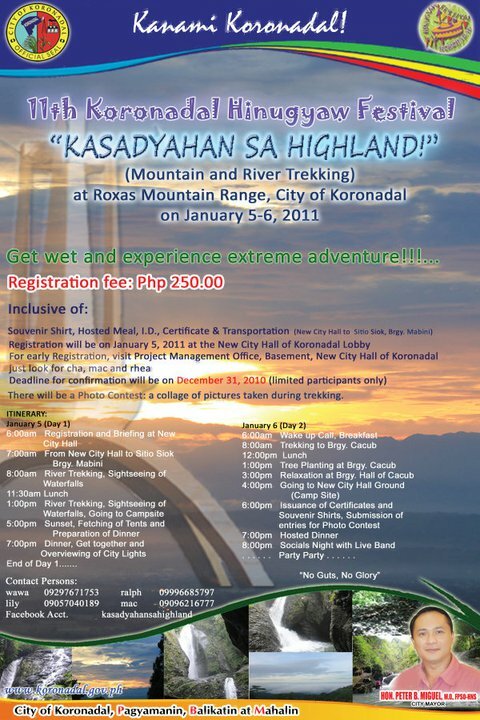 Koronadal City happening on January 5-6, 2011. 71st Foundation Anniversary and the 11th Hinugyaw Festival. transportation from the New City Hall to Sitio Siok, Brgy. Mabini. January 5, 2011 at the New City Hall.